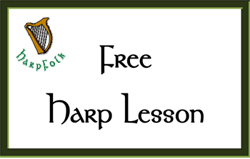 Here is a sample from the Harpfolk repertoire. 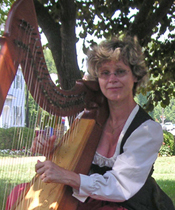 Instruments played are the harp, the double harp (having two rows of strings), and a harp/recorder duet. MP3 player for site by Premiumbeat.